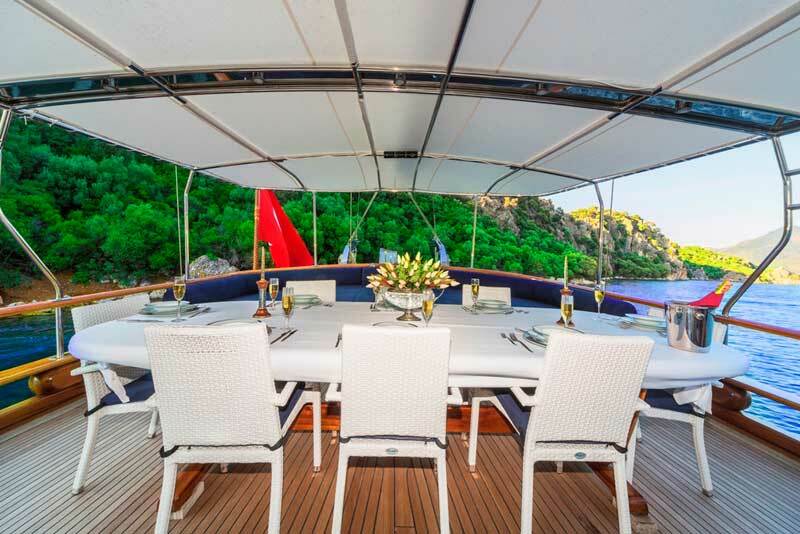 For up to 12 guests. 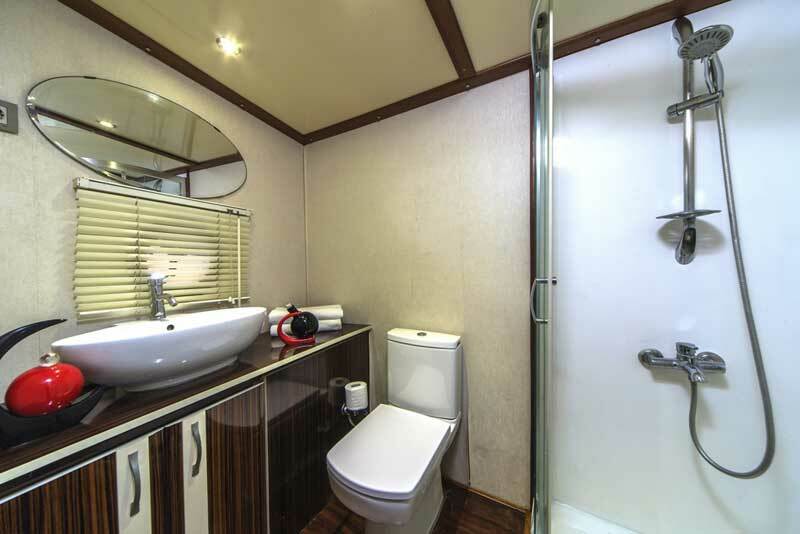 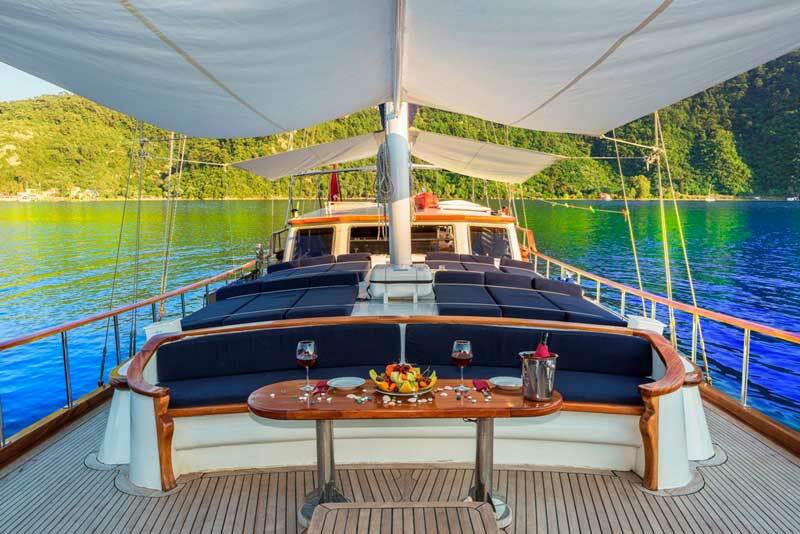 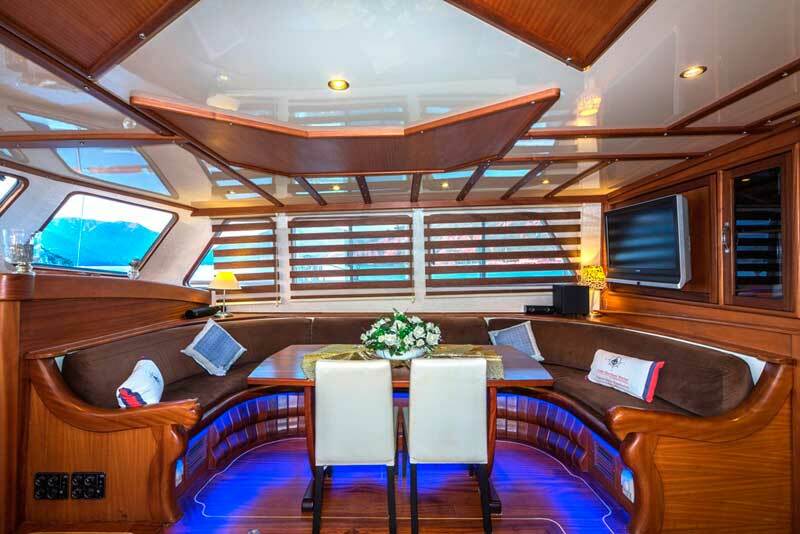 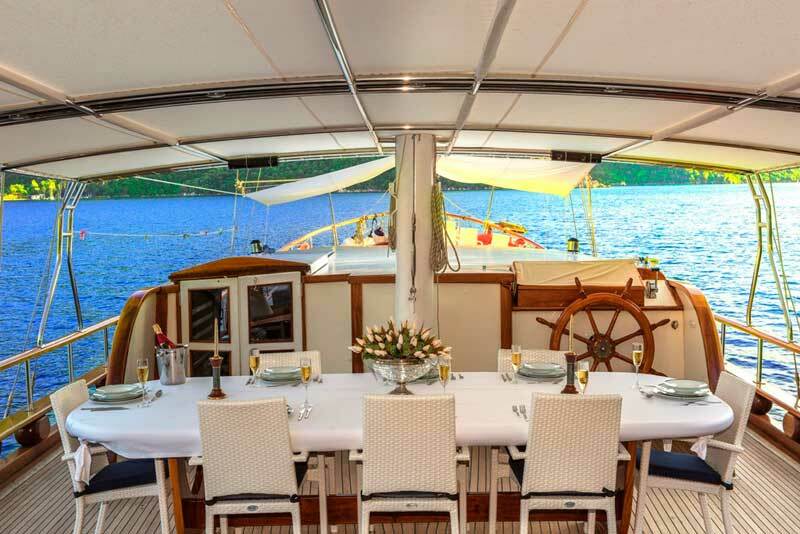 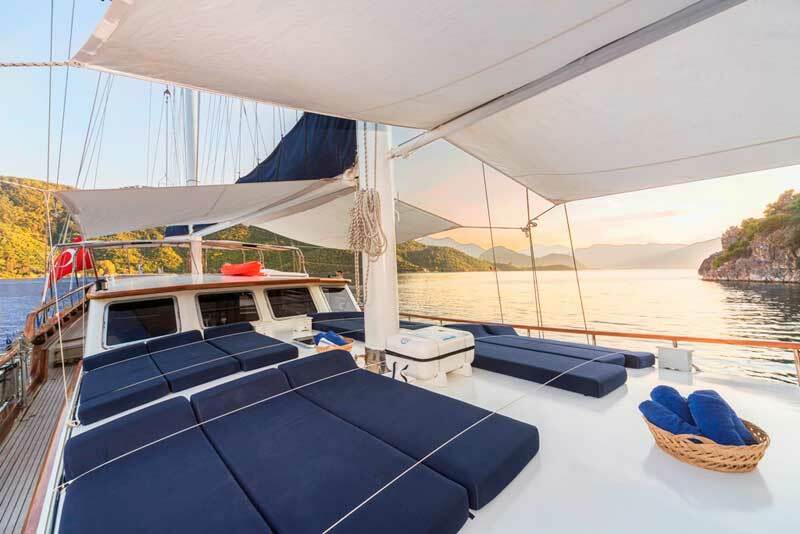 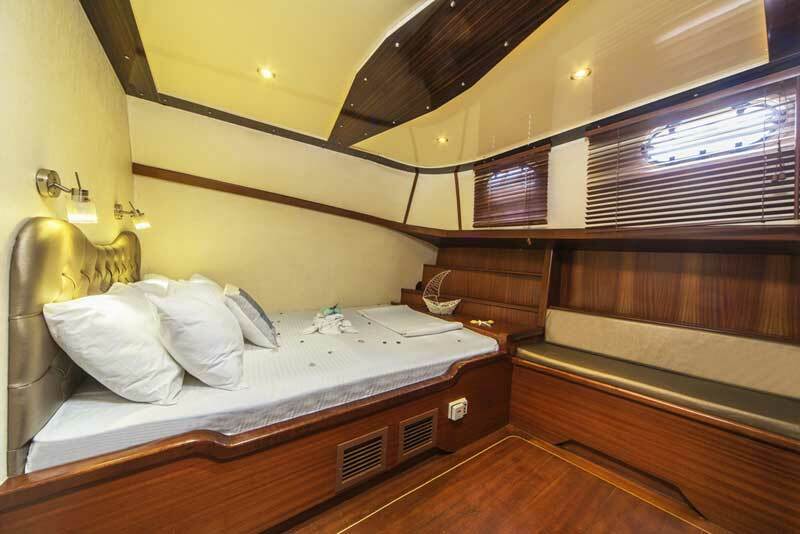 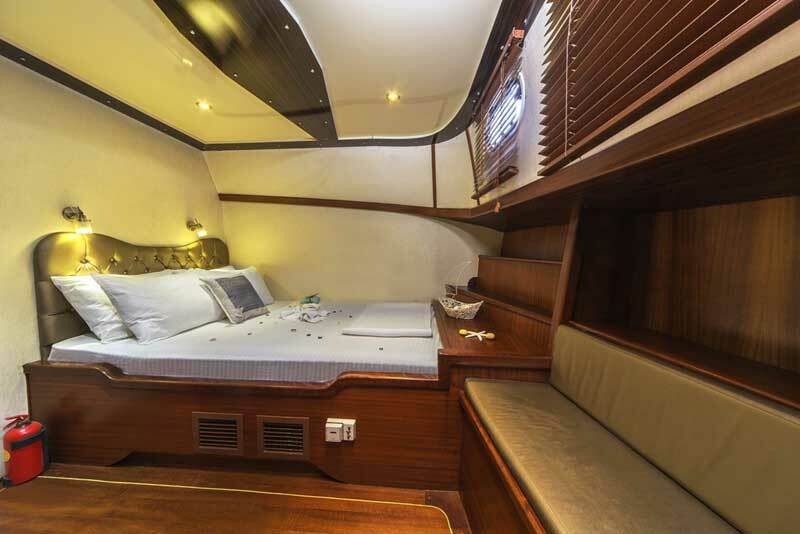 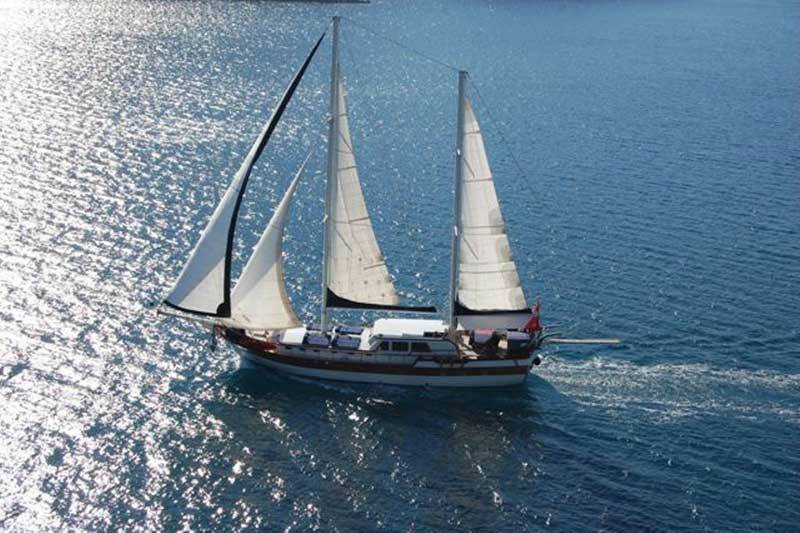 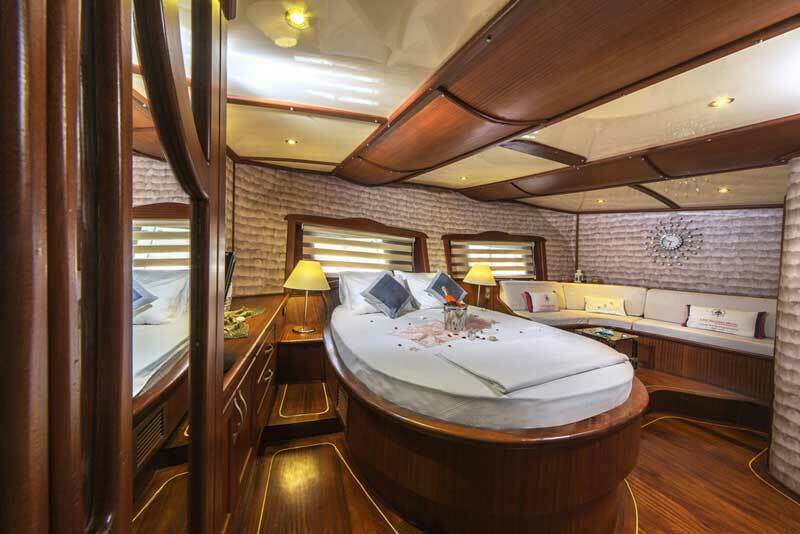 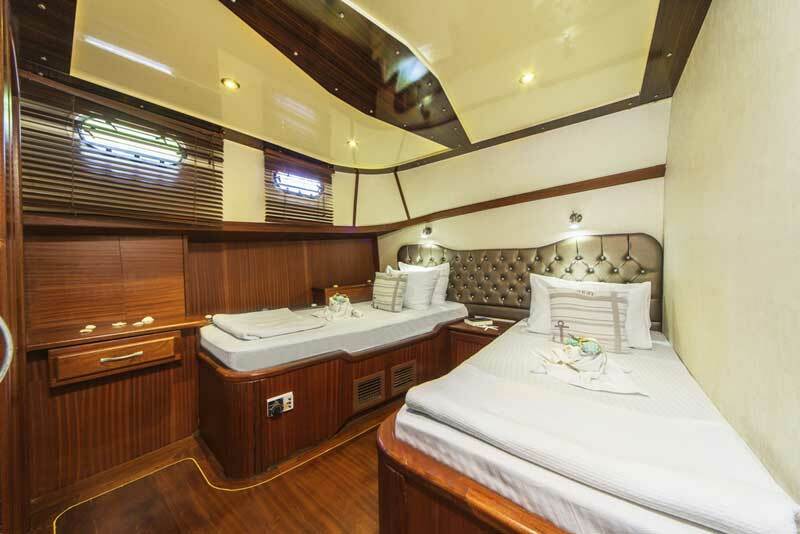 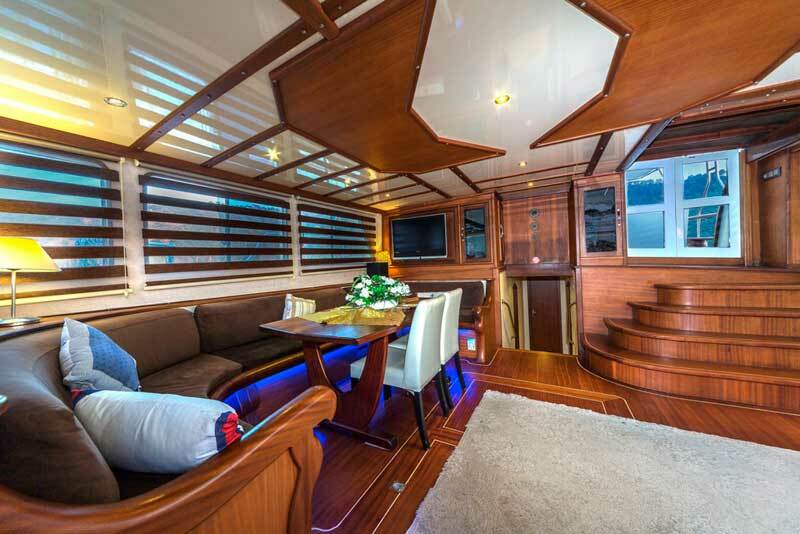 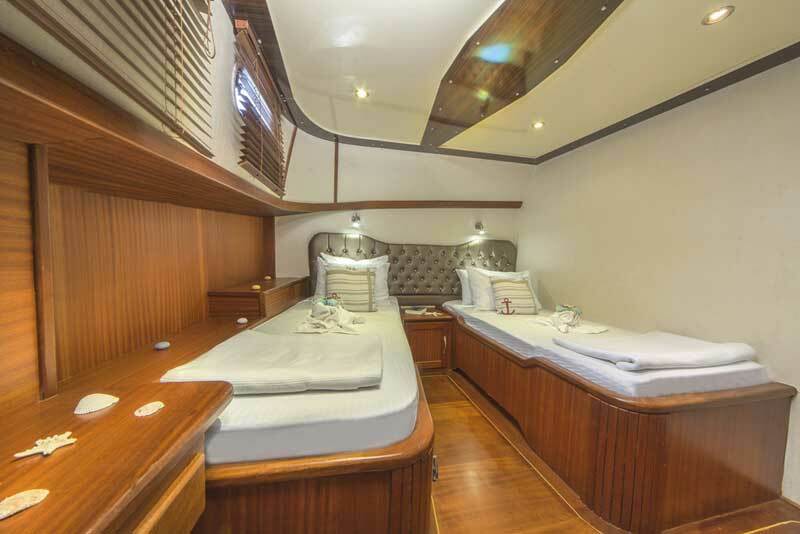 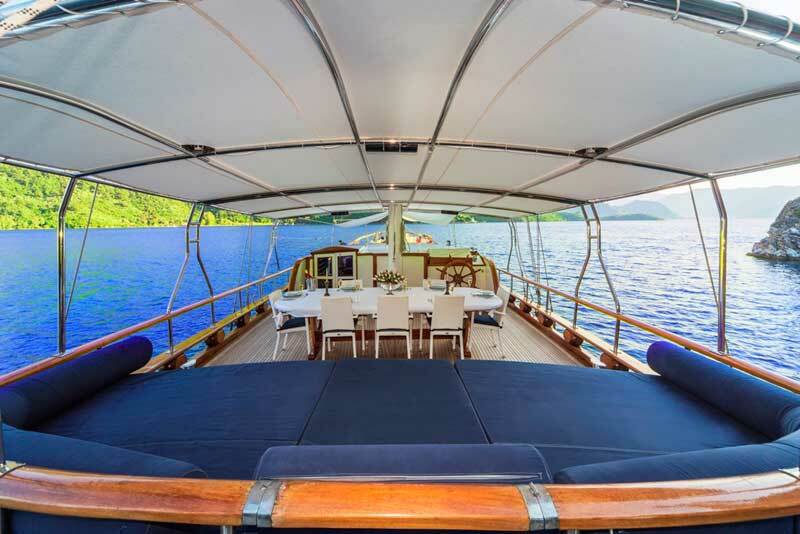 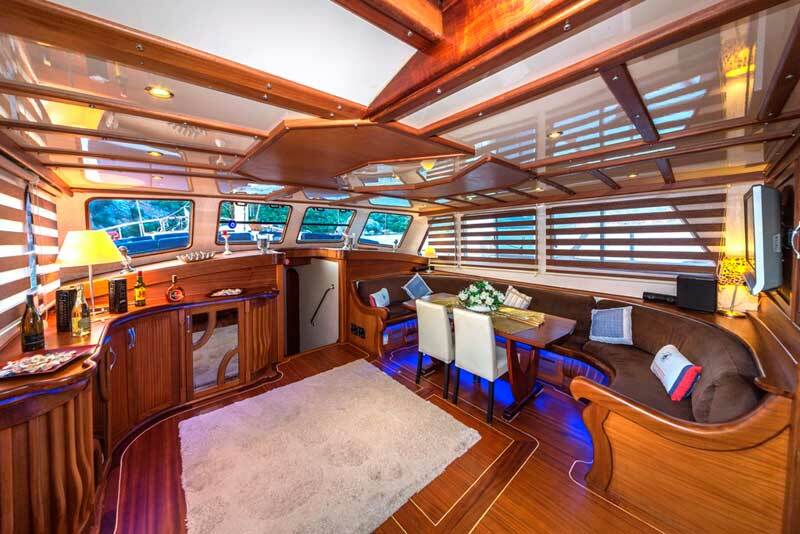 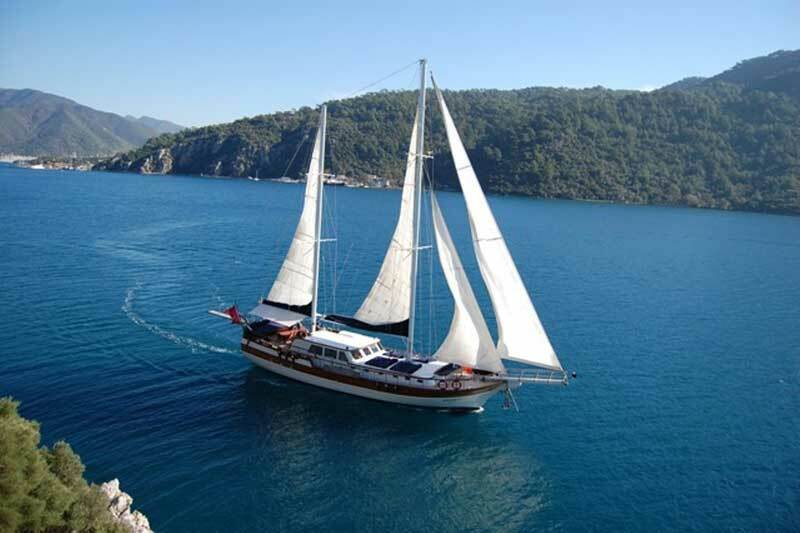 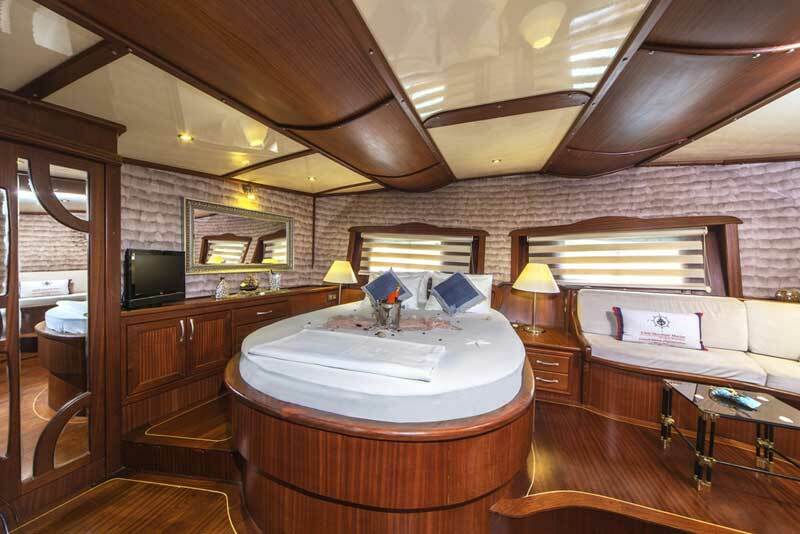 6 cabins each with air-condition and ensuite toilet & shower (1 master, 1 twin and 4 double cabins). 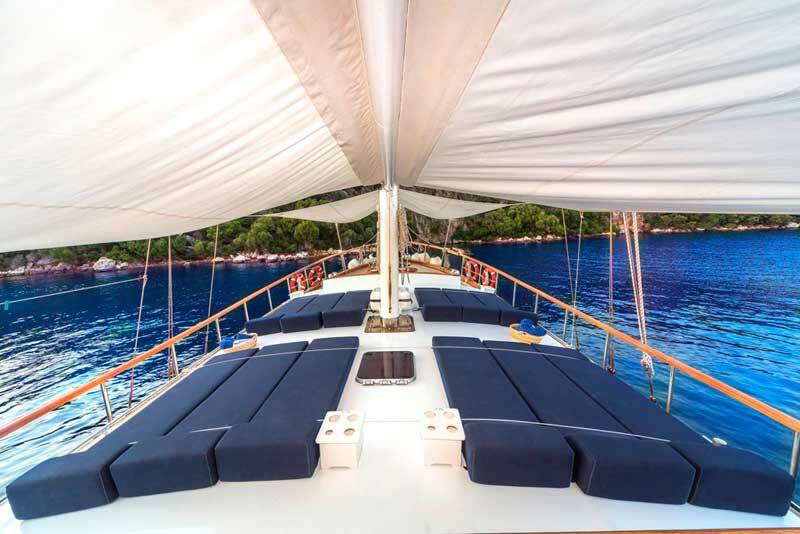 Wi-Fi internet connection, Water-ski Ringo, Canoe, Snorkelling and fishing equipment, Dinghy with outbord engine, TV, DVD, CD player, Deep freeze, Refrigerator, Ice maker, Galley & Navigation & Safety equipment.